Welcome to our little house! You are looking for a quiet location, then you are in the house just right. Nearby is a bike rental. Explore the peninsula Fischland-Darß-Zinsgt by bike or combine your tours by boat to Born or Ribnitz-Damgarten. We are looking forward to your visit! Welcome to the Franz family! 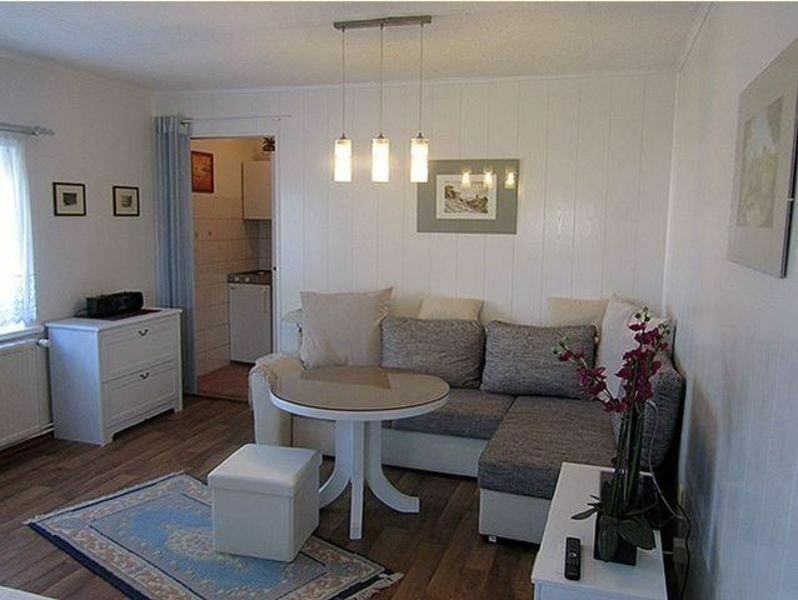 The quiet holiday home in the district Ahrenshoop-Althagen has a size of 36m² and offers comfortable accommodation for 2 people. It has a combined living room and bedroom, TV with satellite system, free Wi-Fi and a separate bathroom with shower and toilet. The garden house has a kitchenette with cooking facilities and a fridge. In the kitchen coffee machine, kettle and toaster are available. The house is located in the beautiful garden, where you can sit and grill in good weather. Private parking for your car and bicycle storage facilities are located directly on the property or in the garden. Far from the hustle and bustle of everyday life, on the picturesque peninsula Fischland-Darß-Zingst, you have the opportunity to spend a very special holiday. Wind and weather, sea and bays give this region its uniqueness. If you are looking for rest and relaxation, you will find here, amidst this idyllic landscape between the Baltic Sea and Bodden. The Baltic Sea, whose steep coast faces the sea and whose bright sandy beach is the destination for sun seekers and walkers, as well as the quiet, reed-lined Bodden waters, where Zeesbootfahrten and bike tours offer a special experience, you will be captivated. Ahrenshoop, a destination for artists of all kinds for over 110 years, has retained its charm through the many thatched fisherman's houses that give the place its uniqueness. The numerous studios, galleries, potteries and the diverse gastronomic offers invite you to linger. Experience the impressive sunrise over the Althäger harbor or the famous "Blue Hour" after sunset on the Baltic Sea. We are looking forward to your visit!